Success in political arena is measured by being in power. There are thousands of politicians, yet, only a few succeed to remain at the top-of-the-mind personalities. Needless to say, only the destined gets to rule a nation, mostly with iron fist rather than love and compassion. 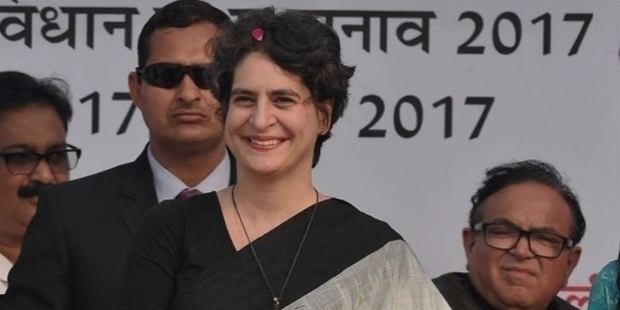 Priyanka Gandhi’s entry in active politics has shaken the opposition’s confidence for the upcoming general elections, to be held in April-May 2019. It is really interesting, because Priyanka has always been by her mother and brother’s side, after India lost Rajiv Gandhi in May 1991. Priyanka was all of 19 then, a teenager. Seven years later, her mother decided to campaign. Rahul and Priyanka were stunned by the decision. The children wondered why she decided to do so. They could understand later that their lives were not a legacy of privileges, but a legacy of greater responsibility towards the nation. 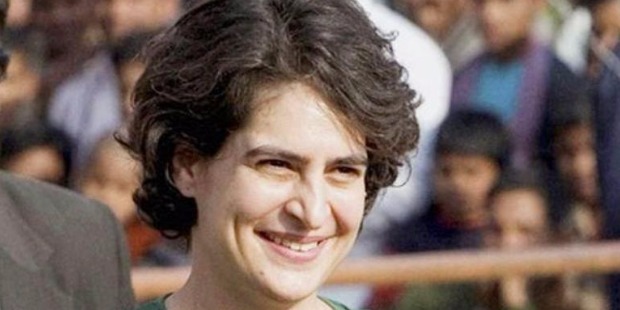 Priyanka Gandhi was born on the 12th of January 1972 in New Delhi. She completed her schooling from the Modern School and Convent of Jesus & Mary, New Delhi. After her grandmother’s assassination, Rahul and Priyanka were schooled at home, because of security reasons. Priyanka completed her graduation from Jesus and Mary College, University of Delhi in Psychology. She completed her post graduation in Buddhist Studies in 2010. The early life as a teenager was tough for her brother and Priyanka. They had to undergo through trauma losing first their grandmother and later, their father. Priyanka is believed to be a simple girl, who wishes to live like any other normal person in the world. She has an enigmatic grace and is loved by the mass, irrespective of their ages. Having being a regular company of her grandmother, Priyanka had learned a great deal about politics during her initial years. 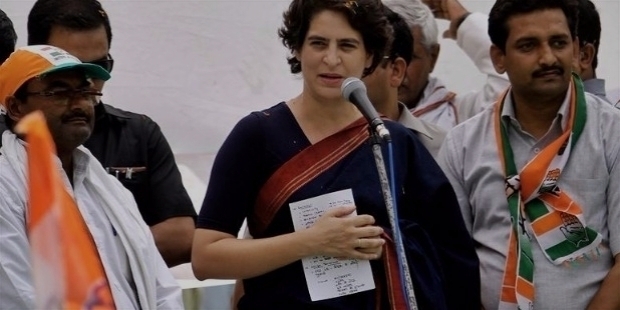 Over the years, being in politics Priyanka has stayed away from active politics in an intelligent manner.? 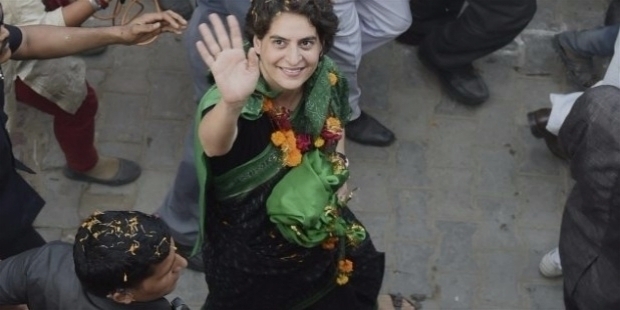 Priyanka Gandhi’s entry in Indian politics was and is inevitable. She has been actively campaigning for her mother and brother in Rae Bareilly and Amethi on a regular basis. Her recent appointment as Congress General Secretary in-charge of Eastern Uttar Pradesh region for the upcoming general election is certainly not a surprise. 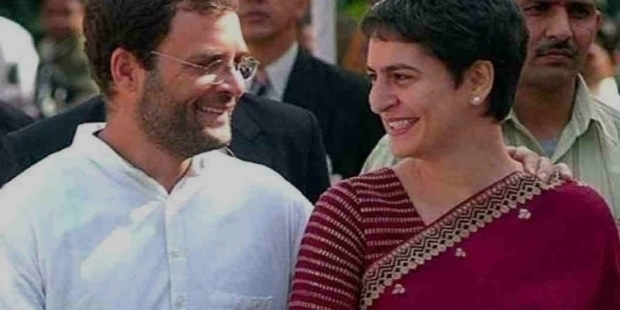 On the 23rd of January 2019, Priyanka accepted the responsibility, her brother bestowed on her to serve the nation. Her official entry has brought cheers in Indira Gandhi’s constituencies Amethi and Rae Bareilly. The oppositions are aware of her charisma and popularity with public, so they began their attacks on Priyanka. 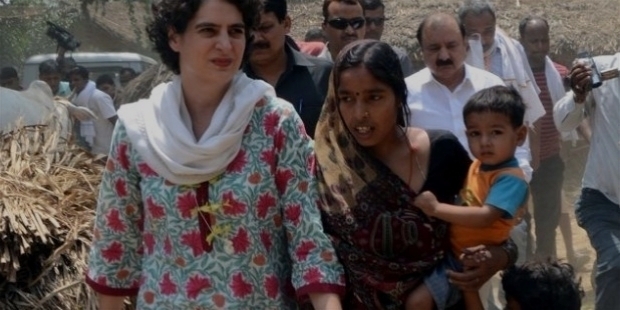 Priyanka is very similar like Indira Gandhi, when it comes to interacting with people. She deals with people on the grounds one-to-one and won their hearts with her compassion and kindness. In Amethi, people love her and call her ‘bitiya’ meaning daughter. Wherever she goes, huge crowds follow her. Priyanka recalled in one of her interviews, “My grandma was a very strong lady. She was a very powerful example in front of us.” She was groomed for this day by her grandmother, without making it obvious to her during the early years. She had witnessed Indira Gandhi’s strong femininity, courage, inherent strength, powerful leadership and sense of humour. The year 1991 is etched forever in Gandhi’s family’s lives. The devastating loss of their father broke the family completely. It was a difficult period for the family. However, when Priyanka looks back, she has learned a great deal about the sense of duty towards the motherland. She also understood the extreme extent of politics. The teenager had to come out of the traumatic tragedy, the family faced. She used meditation and Vipassana for years to overcome the loss. 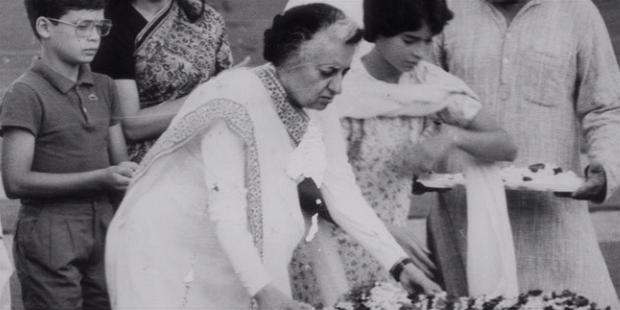 Seven years after her father’s demise, mother Sonia Gandhi decided to campaign. Rahul and Priyanka were unable to understand first why she decided to enter politics after such a huge loss. However, they became the strong support of their mother. Priyanka recalls with pride, “"Gradually, we saw her transformation. It was her courage and her sense of duty. She went beyond the interests of the self towards a greater calling.” Priyanka’s strong character to forgive her father’s killers is beyond doubt speaks of her evolvement as mature lady. In 2008, courageously she forgave them. She had disclosed, “We just have to move from the perception to empathy. Victimhood has now become a political tool. Every time we suffer we think it is because of others, which is just not true." Priyanka like father believes in democracy. She has faith in people of India. She will work towards uniting people to save democracy by hearing every voice. It may be a tall task for her to accomplish at this stage. Her optimism and strength of character speaks volumes about her hope. Priyanka is the sounding board for her mother and brother. No decisions are taken without her consent and advice. She is involved in every key decision for the future of the party’s success. Before the new Chief Ministers were announced for Chattisgarh, Madhya Pradesh and Rajasthan, Priyanka was by her mother and brother’s sides. Priyanka’s official induction in the party is an indication that she is now ready to take on the opposition with full steam. Needless to say, now sooner the party announced her induction, the Head of the State was quick to attack Priyanka viciously. It is seen as a great move by the party to triumph in the upcoming elections. Party leaders and members are in high spirits with her entry. Priyanka will be the desperate change the citizen of the nation is looking for. It will be interesting to see how she performs in the upcoming elections in Uttar Pradesh. Father Rajiv Gandhi would have been proud to see her daughter taking the bastion for the good of the people. Priyanka Gandhi is one of the Trustees of Rajiv Gandhi Foundation. 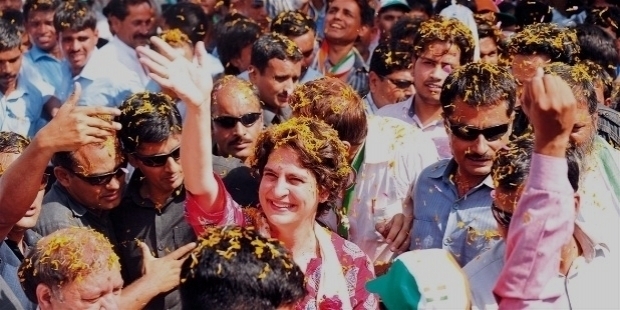 Priyanka Gandhi will definitely make a great leader for the betterment of the citizen of the nation. Her infectious smile steals hearts of people, who look at her with great hope for the future. The world is eagerly watching her emergence in the world politics. 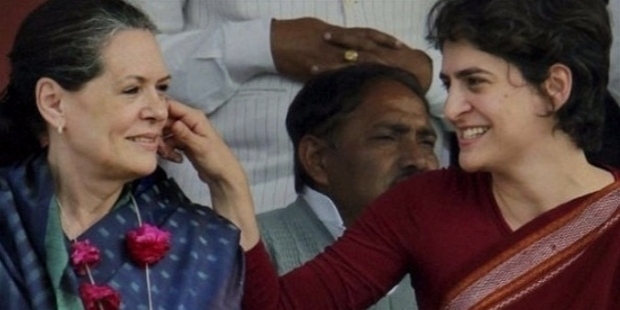 Priyanka Gandhi married Robert Vadra on the 18th of February 1997 in a simple traditional ceremony. The couple is blessed with a son Raihan and daughter Miraya. She had disclosed about her teenage children, how they teach her now.